We are one of the trusted names in Independent hearing healthcare in Scotland. 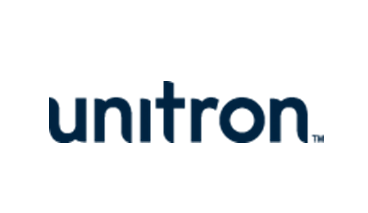 With over thirteen years of service, we will deliver best in class hearing aids to you in the comfort of your own home across West Lothian, East Lothian, North Ayrshire, Glasgow, Edinburgh, Perth, Dundee, Forth Valley, Tayside, Fife & The Borders. Are You Tired of The frustration? - A great night out, the company of friends, the conversations you aren't a part of. A nice night out with friends should be something to be enjoyed. Instead, you are tired from concentrating on what everyone is saying, more than that, you are worried that you are getting the answers wrong! We understand the problems you face and we know that we can help you. We have provided solutions for many people just like you. 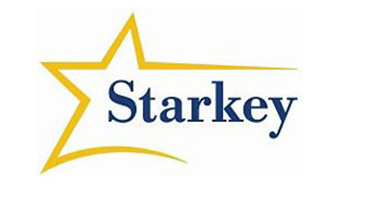 We use only the best hearing aids available from global leading hearing aid brands at the very best hearing aid prices. We also offer a cast iron guarantee that our hearing care solutions will work for you, you don't pay until you are 100% happy with your hearing aids. We understand that your investment in hearing better is much more than that. It is an investment in your enjoyment of your life. We take that investment and our part in it very seriously. 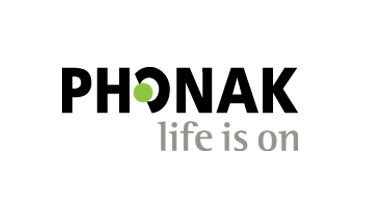 As we have said, as an independent hearing healthcare provider, we have access to all of the best hearing aids from global leading hearing device manufacturers without being tied to any one of them. For you, this means that you will get independent advice and the hearing device options that are best for you. We also provide the very best invisible hearing aids from the very best brands, you can read more about them here. 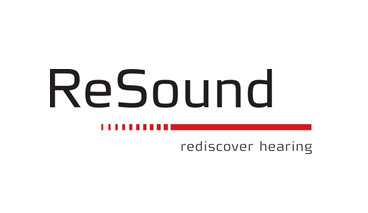 The latest hearing aids from GN Resound are amazing, with direct connectivity to your smart phone (no intermediary device needed) whether iPhone or Android, they will open up your whole world of communication. Connect to what you love through your Android device or iPhone, iPad, and iPod touch and enjoy high quality sound through hearing aids that work like wireless stereo headphones. Adjust the volume, treble and bass. Create favorite programs for your favourite places. Find mislaid hearing aids. Control your wireless accessories. 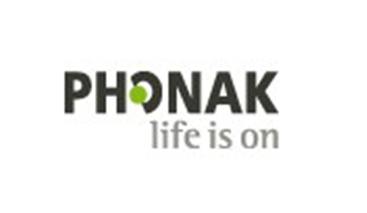 Enhance your listening experience in challenging sound environments… All without touching your hearing aids. True freedom to control your hearing experience. 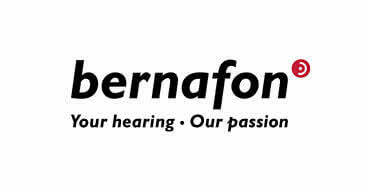 Bernafon is a Swiss hearing aid manufacturer and a stablemate of Oticon. While the hardware is shared with Oticon, the features and strategies used are a little different. Their latest hearing aid range is the Zerena which I have been impressed with. 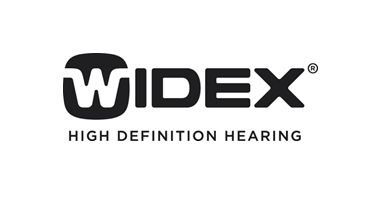 Widex hearing aids are famous for outstanding sound quality and reliability. In fact, it is well known that once a person wears Widex, they will never be happy with anything else. They are also famous for leading innovation. Digital hearing aid technology's superiority over traditional analogue hearing aids isn't just what it can do with sounds, but how much better it does it. By converting the incoming signals into computerized 'bits,' they can be processed, or manipulated extremely fast and efficiently in many complex ways using mathematical formulas known as algorithms. This gives digital signal processors (DSP) tremendous speed and agility to recognize sound's key ingredients. Like a graphic equalizer in some audio systems, algorithms can continually divide sounds into frequency channels. These help preserve and emphasize the higher frequencies containing vital consonant sounds in speech the "c" and "t" sounds in "cat" - over the distracting rumble of low-frequency noise. Algorithms also manage noise by its duration. While speech sounds' intensity can change radically in a millisecond, noise is more acoustically stable over a comparatively longer time. Using time, DSP precisely reduces the levels of continuous sounds like traffic noise and household appliances. And it instantaneously readjusts when changes occur, restoring amplification when shorter duration sounds are detected. That same sensitivity is also useful in quiet surroundings. Utilizing an audio technique called expansion, the digital algorithm senses the consistency of softer environmental sounds from ventilation systems and appliances. It automatically reduces amplification in the appropriate frequency range, immediately restoring proper levels when the sound pattern changes. The precision and flexibility of digital technology also give us the ability to more accurately tailor your amplification for the best possible match to your listening and lifestyle needs. 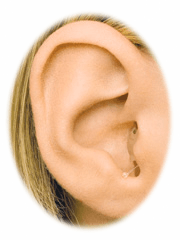 The Hearing Aid Advice Centre helps people like you or your family and friends to regain their hearing. We understand how people's self-confidence and social life can be affected by a loss of hearing. Completely in the canal hearing aid.The completely in the canal hearing aid is barely visible. These hearing aids are popular for their aesthetic appeal, but their size may be unsuitable for some individuals ears. In the canal hearing aid.The In the canal hearing aid is smaller than the in the ear style, with an ear-mould that fits down in the ear canal, and a smaller portion facing into the outer ear. In the ear hearing aid.The In the ear hearing aid houses the components in custom formed ear-mould that fits in the outer portion of the ear. Its size is helpful for those with limited dexterity. Mini Behind the ear hearing aid. The mini behind the ear hearing aid with slim tube is a very cosmetically attractive option for those with a mild to moderate hearing loss. 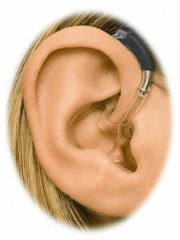 Behind the ear hearing aid.The behind the ear hearing aid is usually for more severe hearing losses and again like the in the ear hearing aid is helpful for those with limited dexterity. No matter which type of hearing aid you choose its performance will help introduce you back into the world of sound. 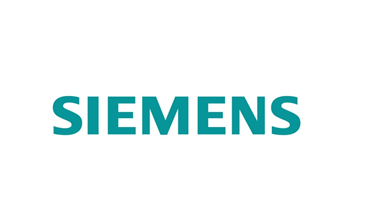 Your hearing aid will allow you to fully participate in conversations again.